Have you seen this recipe all over Pinterest this week like I have? If you answered yes to the former, and no to the latter, you must. make. it. now. I can’t tell you the last time I felt so inclined to make a Pinterest find so immediately. I didn’t have it on my mind when I left the house to run errands today but when hunger pangs hit me while card shopping at Target, I make a beeline for the grocery section and grabbed the few items I needed to make this dish. Of course I could have looked up the recipe on my phone but that would have been much too easy. Instead I grabbed what I thought I needed and sped home so I could get cookin’. Since I failed to properly investigate the actual ingredients, I wound up short of a few of the necessities. Rather than make a trip to the store, I decided to wing it and just make substitutions for the ingredients I was missing. I like to think that the substitutions I made “healthed” this dish up a bit, but let’s get real here…healthy & mac and cheese probably shouldn’t even be used in the same sentence. I give full credit to Maria & Josh over at Two Peas & Their Pod for this recipe. They are complete genius for even thinking about this combo. I’m not sure I would have ever thought of combining avocadoes with macaroni and cheese but now it seems so obvious. 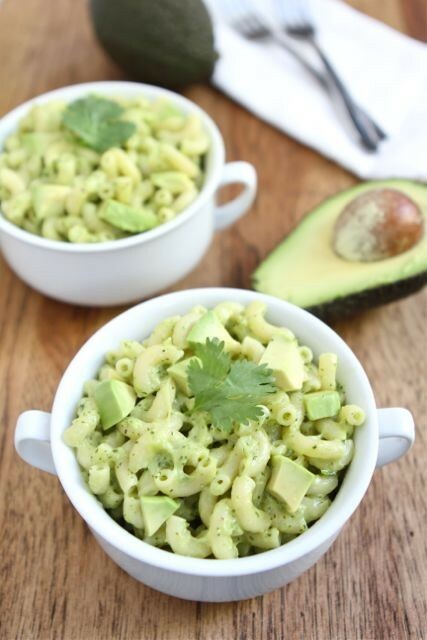 Why wouldn’t you want creamy avocado goodness mixed with mac and cheese?! Here’s my spin on this delectable dish. 1. Boil pasta until al dente. Drain, rinse & set aside. 2. While pasta is boiling; combine garlic, avocado, spinach, lime juice & 1/4 cup milk in blender or food processor until smooth & creamy. 3. Melt butter in saucepan over medium heat. When butter is melted, whisk in flour to create a roux. Add 1 cup milk & stir until sauce begins to thicken. Stir in cheese until melted. 4. Stir avocado mixture into cheese sauce until combined. 5. Toss pasta with sauce & garnish as desired. I garnished mine with my favorite tomatoes but I think sour cream or salsa would be great too. Add some black olives if you’re into that. Honestly, anything you throw on top will only add to the utter deliciousness of this dish. If you’re planning to stay home tomorrow but still want to participate in some Cinco de Mayo festivities, you should probaby whip up this super easy, crazy good dish. And if you’re feeling really “loco”, wash it down with an ice cold margarita on the rocks. 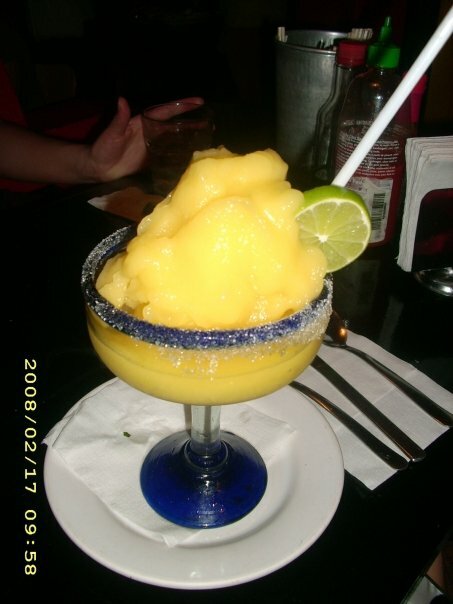 Ooorrrr an ice cold frozen mango margarita since I can’t seem to find a single picture of a margarita on the rocks, despite having a zillion photos from various trips to Mexico. Especially odd since MOTR is my drink of choice! 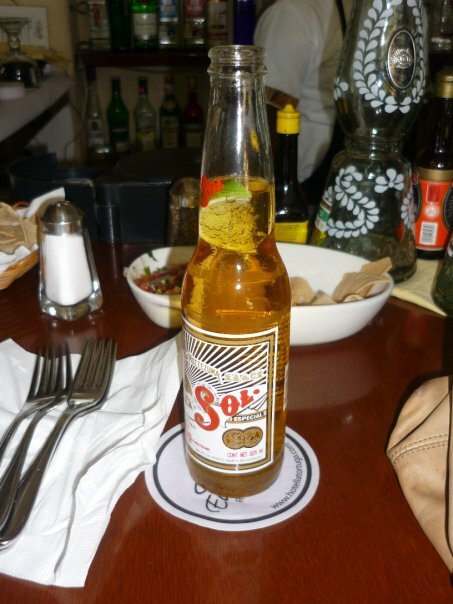 Or perhaps with a refreshing Sol? 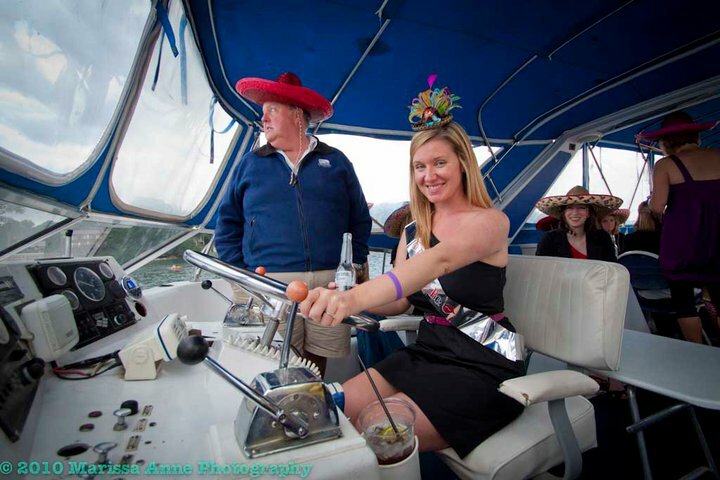 And drive a boat, while drinking a Corona, while wearing mini sombrero fascinator if you must. P.S. 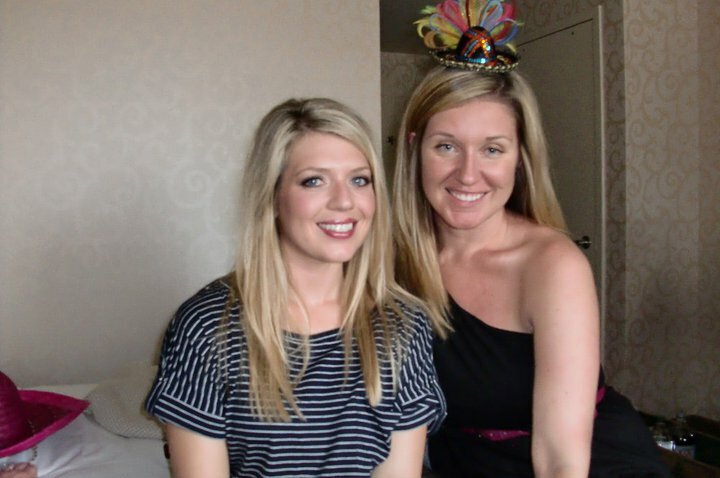 My bachelorette party last summer was Mexican themed and oh, so fun! Are you planning to partake in any Cinco de Mayo festivities?! We’ll attending a memorial service, a wedding & possibly a class reunion tomorrow so we’ll be doing some celebrating but not sure how Cinco de Mayo-ish any of it will be. I’ll definitely find a way to sneak in a margarita or refreshing Mexican beer though! Um, that mini sombrero is awesome!!! 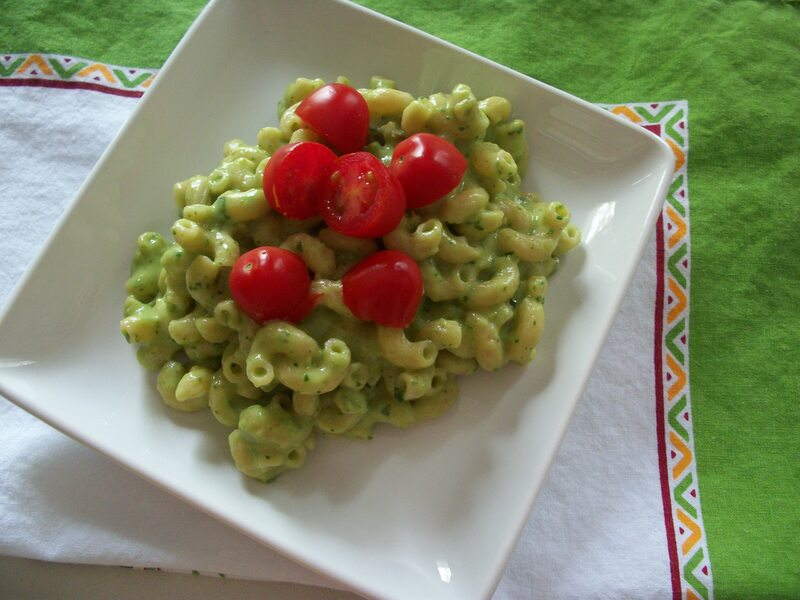 I absolutely love the idea of avocado pasta and will definitely have to try it out now that it’s getting warmer out. 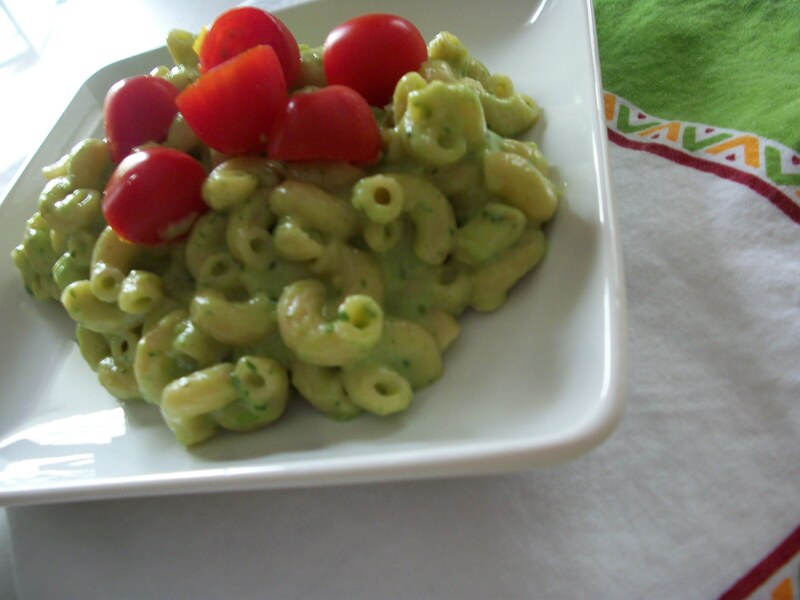 I’ve done avocado mashed potatoes but never thought to put it on pasta–thanks for posting! Next Post ¡mas sombreros por favor!